I never thought it would have been possible, to see half the Eastern All-Star team on a single team. But all basketball fans would have fantasized about this for their team no doubt. Even I wanted to see it. But now they are the team to beat and its looking grim for all other teams, in particular Orlando who are in the same division. 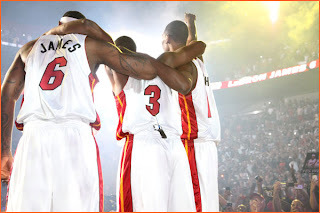 If two of them joined Chicago, the Bulls would have been immensely strong - but only one could have reach a max deal. 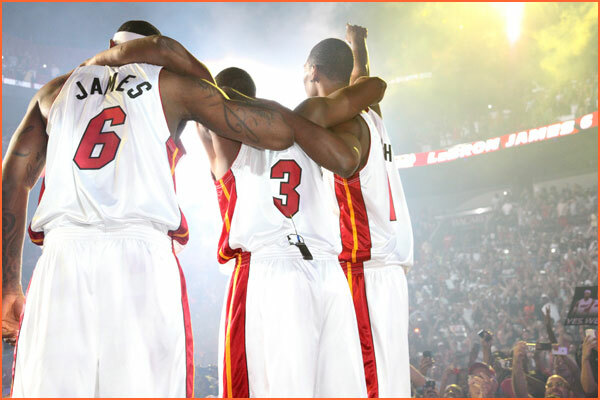 In Miami, it looks like they are getting 3 Franchise Superstars at the beginning of their prime. I hope they don't get many players otherwise they are going to dominate too much and hog all the championships.